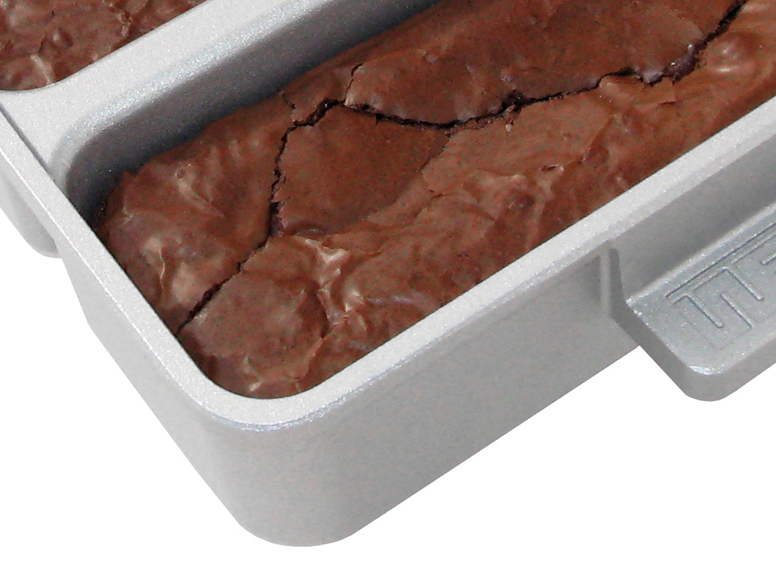 Plain n’ simple – it’s a lid for your Edge Brownie Pan. Keeps your goodies fresher longer. 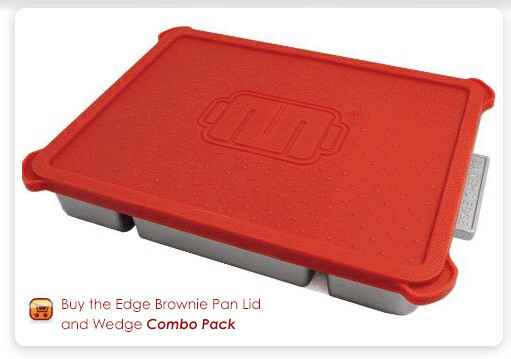 Great when traveling with your Edge Brownie Pan. 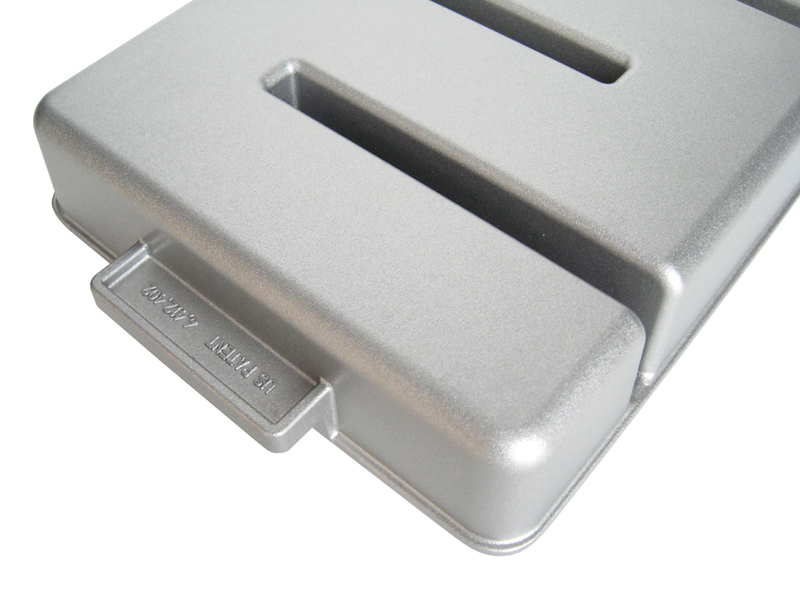 Can double as a cooling pad – heat resistant to 500° F.
Directions: Align the corner nubs of the lid with the pan corners. 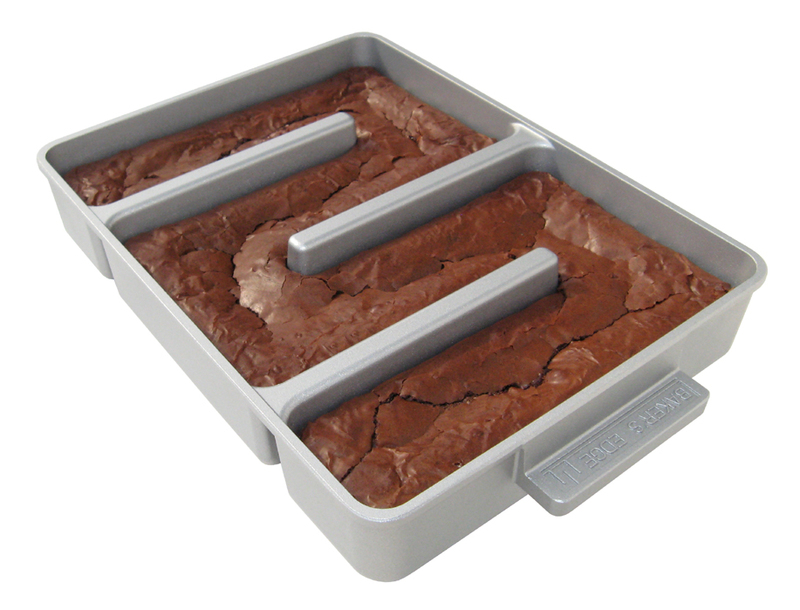 Place lid on top of Edge Brownie Pan, and press gently around the top perimeter until you feel the slight snap of the lid locking in place. 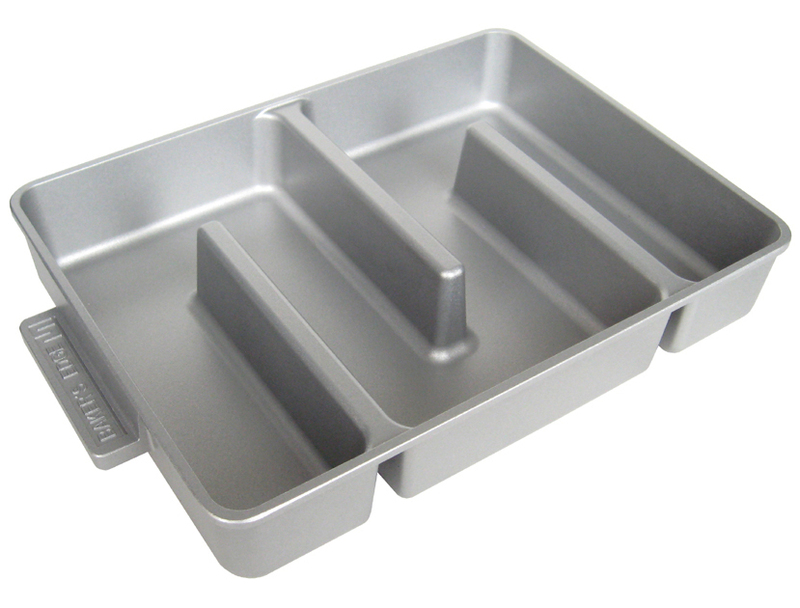 Insert as shown to eliminate one or more baking channels. 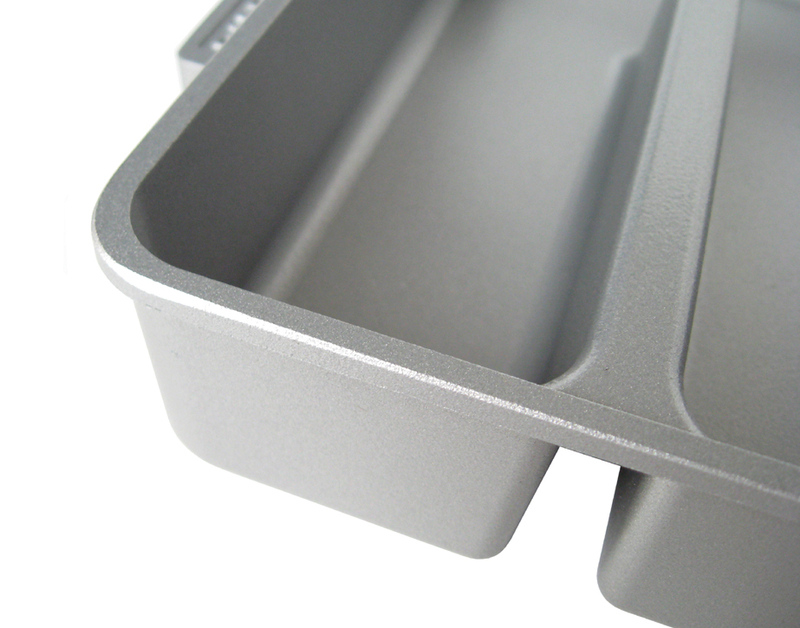 Bake those smaller 8’ x 8’ recipes at the correct thickness! (and other such ingredient disputes). Directions: Place in pan as shown at desired area. Pour in batter. Bake as normal. 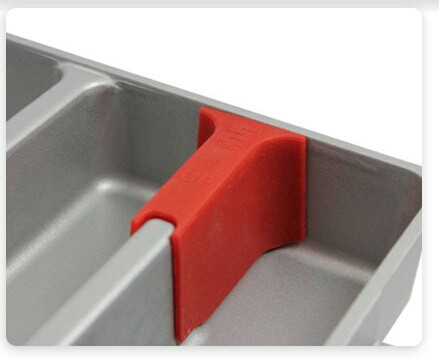 The Edge Wedge is made of high heat-resistant silicone (same stuff used to make silicone bakeware). 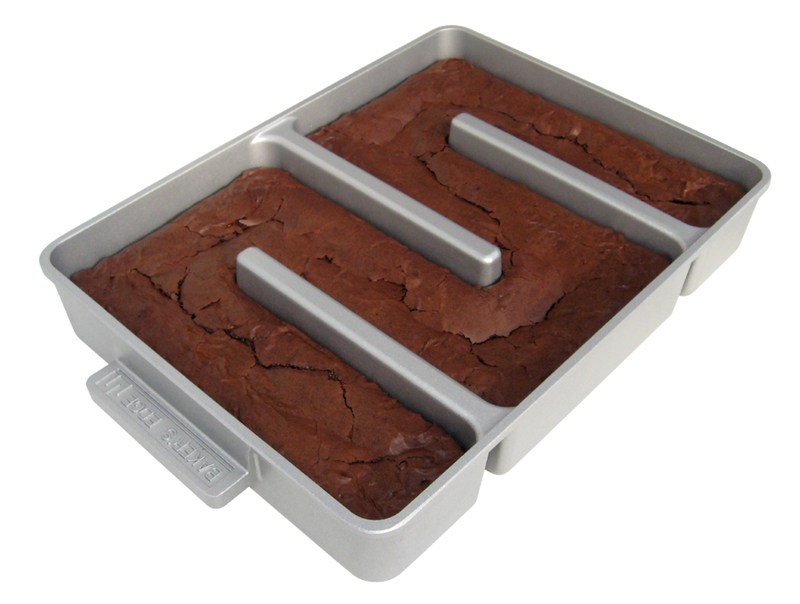 It’s designed to be in the pan while baking.